FEW are unaware that America (under the anti-American-in-Chief) has purposefully abdicated its mantle of leadership throughout the world. This includes both domestic and foreign areas of concern. However, the arena which is most visible, dangerously so, revolves around Obama Inc.’s (western leaders alike) heinous refusal to link Islamic mandates to barbaric acts of terror. GRANTED, as repulsive as it is, the fact remains that Islamic doctrine advocates beheading (and similar Hudud doctrine) as “appropriate” punishment under Shariah Law. So the question becomes: do Americans (and the rest of the west) agree to live under said dictates or not? Mind you, this is hardly a theoretical question, not at all. In fact, it is completely practical in nature. How so? AS to the kiddie element, well, all evidence is leading to the fact that their grooming is on the upswing and its lethal effects are spreading. Why would Americans (westerners) think they are immune, knowing full well that what starts in the streets of the Mid East/Africa ends up (sooner or later) in theirs? Indeed. HARDLY an anomaly…a spreading cancer! IN reality, what seems like an endemic problem in far away lands is nothing of the kind. This mindset is wishful thinking. PRAY tell, is Oklahoma in the U.S. – or not? Is N.J. in the U.S. – or not? There are other states too. NOW, what about Muslim-Americans who threaten to behead, yet haven’t gotten the chance to carry out their act(s) of Islamic retribution? Allahu Akbar or Allah is Greater originated as a threat during Mohammed’s genocide of Jews in what is today Saudi Arabia. It still continues to be shouted at scenes of Muslim violence. Its underlying meaning is “Allah is greater than your God”. And the proof of that is usually violent. As the number of Muslims in the US grows, the kind of Muslim Supremacist anti-Semitic harassment that had become commonplace in Europe is headed here. A 24-year-old resident of Miami Beach has been arrested by Miami Beach Police after he repeatedly yelled “Allahu Akbar” and “your heads will be cut off” at a two Jewish men Saturday night, Miami Beach Police said Tuesday. According to the Police, the two men – David Weberman, 58, and Issac Rosenberg 32, – were sitting outside the Ohev Shalom Synagogue located at 7055 bonita drive at around 9:25 pm on Saturday night when Diego Chaar, 24, walked by with a friend and yelled at them, “Allahu Akbar.” The two first ignored him. But them Chaar yelled twice, ‘heads will be cut off’, which prompted the two men to leave the scene in fear of their safety. Miami Beach Police responded to the scene, and after canvasing the area with Weberman and Rosenberg they located the two men hiding behind cars. The two Jewish men identified the suspect, but he denied having said anything to them. The officers then let them walk free. About an hour later, at around 10:10 pm, the same two men again walked by the synagogue and once again yelled “Allahu Akbar” and “your heads will be cut off”. At this point high-ranking detectives responded to the call and arrested the suspects. 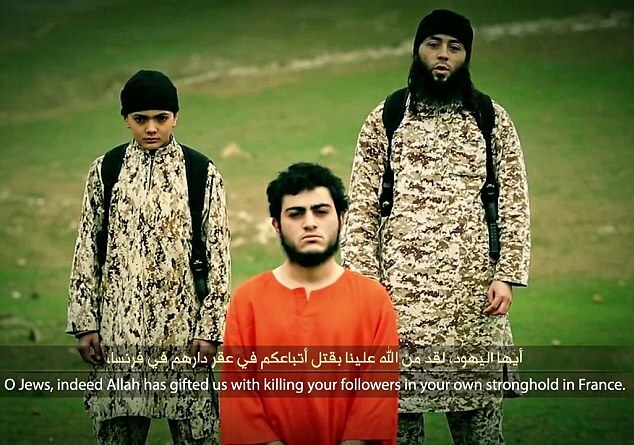 BESIDES, rationally speaking, isn’t the common denominator to the “art” of beheading rooted in Islam? Of course. IN effect, the next query becomes: since Islamic slaughter continues apace all over the world, what exactly will it take for U.S. leadership, Congress especially, to act on behalf of the American people? In other words, how many heads will have to fly within the streets of America, before HUSSEIN Obama (and surrogates) is forced to deal with Islam’s poisonous effects, albeit, not under his own free will? 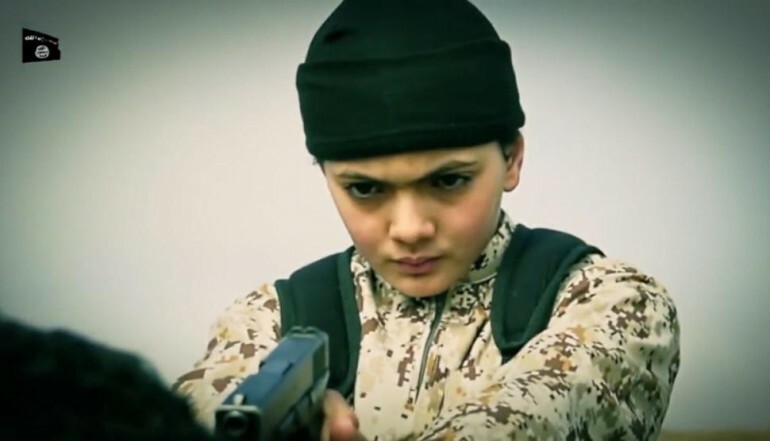 The Islamic State released a video Tuesday purporting to show a young boy executing an Israeli Arab who it claimed infiltrated the group in Syria to spy for the Jewish state. In the video, a youth identifying himself as Mohammed Said Ismail Musallam recounts how he was recruited by Israeli intelligence. Dressed in the familiar orange jumpsuit, 19-year-old Musallam is shown kneeling in front of the boy, who appears to be no more than 12 years old, and a man standing at his side. The man, speaking in French, issues threats against Jews in France, before the boy walks around in front of the hostage and then shoots him in the forehead using a pistol. The boy, who shouts “Allahu Akbar” then shoots the man four more times as he lies on the ground. 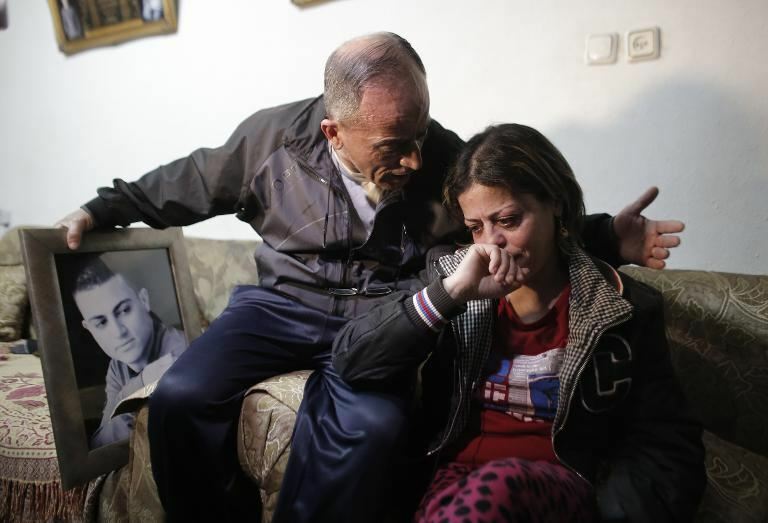 In February, Musallam’s father denied in comments to AFP the ISIS claim that his son was an Israeli agent. “My son is innocent; ISIS accused him of working for Mossad because he tried to run away,” Said Musallam said, claiming that his son had travelled to Syria to join the jihadists. Following release of the video Tuesday, Musallam said he did “not know anything”. “He is absolutely not religious,” Musallam said earlier, adding that perhaps his son had been recruited through the Internet. Musallam said his son, an Israeli citizen, abandoned his national service in the fire department to join ISIS. 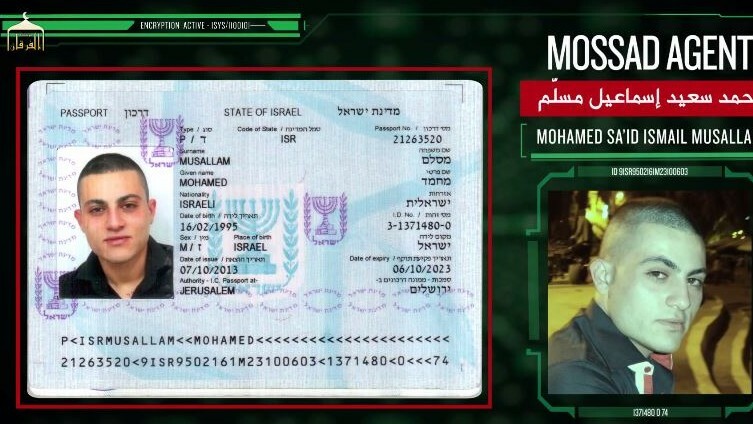 In the video below, Mohammed Said Ismail Musallam, explains how he was, in fact, recruited and trained by the Israelis to be a spy, after which he was sent to Syria to gather information about ISIS and on any Palestinians there. He says his family not only approved of his career choice, but encouraged him because of the high rate of pay he would receive. YES, inch by inch, step by step, stealth by stealth, Shariah Law is being implemented/implanted in the U.S. In fact, who would have thought (even 5 years ago) that demands made by Muslims would override everyone else’s, even to the extent of overhauling the training of all law enforcement? Do they live in an Islamic country or in America? As America veers towards Islamic Sharia law in order to cater to the demanding minority of Muslims, citizens are seeing not only an attempt to include and appease Muslims, but an infringement upon the rights of the majority. With such a vocal group as that of Islam in the U.S., major corporations are making a shift toward including the brutal slaughter that is halal, and the newest addition to the list of Muhammad-approved businesses is the largest superstore yet. The Miami Student reports that Wal-Mart has taken the leap into dangerous waters, approving the provision of halal meats. With a petition, Oxford assistant professor Tareq Hasan Khan and the Muslim Student Association (MSA) of Miami University has pressured Wal-Mart into providing meats that have been slaughtered in a manner acceptable by halal standards, as per the Quran. According to the Quranic definition, halal livestock should be slaughtered by slitting the throat of the beast, bleeding the animal out by the throat, all while invoking the name of Allah in prayer. It’s often argued that halal slaughter is the most humane form of butchery, claiming that the animal endures as little pain and suffering as possible, but the documented videos reveal the ugly truth. EFFECTIVELY, Shariah Law courts are already in place (illustrated here too) in America, and others are in the offing. In fact, Muslim-American leaders admit that the implementation of Shariah Law is their absolute goal to subvert the Constitution. Believe them. AGREED, some may innocently inquire: isn’t it a big leap to suggest that “accommodating” growing demands made by Muslims in certain arenas is a quantum leap from decapitation becoming a reality of life in America? Not at all. ABOVE all else, as mentioned repeatedly, without Shariah Law there is no Islam. It is all encompassing and one cannot pick and choose which laws are binding and which are not. This includes decapitation, and it is an ingrained part of Shariah Law. Period. AMERICANS need to ask themselves the following urgent query: what are their own “green/Islamist lines”? Again, are flying heads said demarcation, or will Americans assert themselves before then? This entry was posted in Uncategorized and tagged "Hudud" punishments, "religion of peace", Allahu Akbar, http://islamexposed.org/2015/03/12/islamic-kiddies-perfect-the-art-of-beheading-america-in-the-cross-hairs-whats-to-be-done/, http://www.israelsvoice.org/2015/03/12/islamic-kiddies-perfect-the-art-of-beheading-america-in-the-cross-hairs-whats-to-be-done/, kiddie (beheading) grooming, Shariah Law courts in America, Shariah Law in the U.S., young boy executing an Israeli Arab by Adina Kutnicki. Bookmark the permalink. Pingback: Israel's Voice | Islamic Kiddies Perfect The “Art” Of Beheading: America In The Cross Hairs. What’s To Be Done? Sorry, I erased that message by mistake on my cell phone and it did not appear on my computer. Sent by WND, telling the story of Dave and Chris Gaubatz’s book and asking for donations to help with court expenses. Strange? Leith, actually, this is not strange at all…more to this ONGOING lawfare saga than meets the public eye. Pingback: Israel's Voice | ISIS’s (Kiddie) Educational Menu: ”Beheading 101.” Benghazigate’s Knock-On Effects.